The Fourth meeting of Bilateral Consultation Mechanism between Nepal and the Republic of Korea (RoK) was held at the Ministry of Foreign Affairs of RoK today. Joint Secretary of the North East Asia Division at the Ministry of Foreign Affairs of Nepal Mr. Ganesh Prasad Dhakal and Director General, South Asian and Pacific Affairs Bureau of the Ministry of Foreign Affairs of RoK Ms. Kim Eun-young led their respective delegations in the Consultation. During the Consultation, the whole gamut of bilateral relations between Nepal and the Republic of Korea were reviewed. Exchange of visits at high levels including the need to enhance cooperation in the areas of tourism, trade, investment, civil aviation, and human resources development,among others, were discussed. 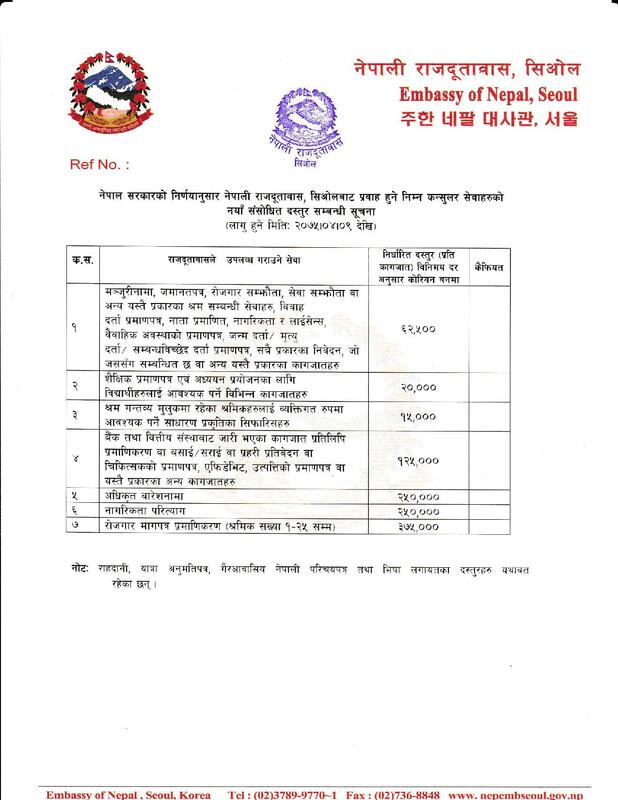 Mattersregarding enhancing welfare for Nepali workers and increasing quota under the Employment Permit System (EPS) were also discussed during the meeting. Other members of the Nepali delegation included Mr. Kiran Shakya, Deputy Chief of Mission and Mr. Dilli Ram Banstola, Labour Counsellor of the Embassy along with Ms. Roshan Khanal, Under Secretary of the Ministry. The Korean delegation consisted of Director Mr. Wee Joon Seok and other officials from the Ministry of Foreign Affairs and Ministry of Employment and Labour. Earlier, Joint Secretary Mr. Dhakal held a courtesy meeting with His Excellency Mr. Yoon Soongu, Deputy Minister for Political Affairs of the Ministry of Foreign Affairs at the latter’s office. The Consulation Mechanism between the Foreign Ministries of two countries was established in 2001.